Key speakers from Asian Development Bank (ADB) presented findings of a newly published report, “Meeting Asia’s Infrastructure Needs,” detailing solutions for maintaining rapid growth and addressing the challenges of demographic change, increased urbanization, growing inequality, and the threat of climate change. IEMS Faculty Associates discussed the report’s findings. The ADB reports that emerging Asia needs a whopping $26 trillion in infrastructure by 2030 to meet ever-growing economic needs. The report more than triples a 2009 report’s estimate that USD8 trillion would be needed. The new estimates include climate mitigation and proofing costs, including renewable energy, smart grids and energy efficiency, but also transportation as well as measures against rising sea levels and extreme weather. 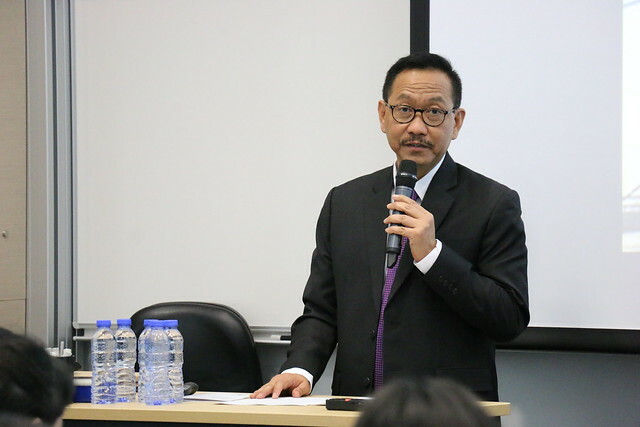 Bambang Susantono, ADB’s Vice-President for Knowledge Management and Sustainable Development, reminded attendees that in addition to developing infrastructure, increased investment was also needed to reduce the impact of climate change. Meeting infrastructure needs is tied to the UN’s Sustainable Development Goals and other climate-change agreements. Expanding on the report, Mr Susantono advises developing countries to use both private and public sector money, stressing the link between infrastructure investment and economic development. He adds that this includes better implementation by governments in addition to ADB loans and advice. Juzhong Zhuang, Deputy Chief Economist of ADB’s Economic Research and Regional Cooperation Department (ERCD), explained that despite high levels of infrastructure investment in the Asia-Pacific, there are still large gaps between the quantity and quality of infrastructure projects. The gap in quality involves both public and private investment in four major sectors: energy, transport, water and sanitation, and telecommunications. Meanwhile, IEMS Faculty Associate Prof David Cook provided a macroeconomic analysis of ADB’s figures, confirming the need for increased capital investment in the Asia-Pacific. Similarly, Faculty Associate Dr Alicia Garcia-Herrero commented on the report’s forecasted investment needs and the role of banks and capital markets. She suggests pension reforms and using originate-to-distribute models to finance the region’s infrastructure development. Speakers reminded attendees that Multinational Development Banks (MDBs) will play pivotal roles in financing the solution, encouraging cooperation in the region and supporting the planning and implementation of reforms. With proper financing, the report recommends three sets of policy actions: public- sector fiscal reform, better planning and implementation of reforms, and creating a better environment for private firms to participate. Mr Bambang Susantono is the Vice-President for Knowledge Management and Sustainable Development of the Asian Development Bank (ADB). He assumed the position in July 2015. Mr Susantono is responsible for management of ADB’s Sustainable Development and Climate Change Department, Economic Research and Regional Cooperation Department, and Department of External Relations. Prior to this, Mr Susantono was the Vice-Minister of Indonesia’s Ministry of Transportation and Deputy Minister for Infrastructure and Regional Development. He has extensive experience providing policy advice to government, private sector organizations and international institutions. He chaired several research institutes and taught in universities. He was also Commissioner for airline, port, telecommunications and media companies. He served as the President of Indonesia Intelligent Transport Society; Vice President of East Asia Society of Transportation Studies based in Tokyo, Japan; and a member of the Board of Trustee of the SouthSouthNorth Foundation in Johannesburg, South Africa. Mr Susantono holds a PhD in Infrastructure Planning and Master’s degrees in Transportation Engineering, and City and Regional Planning from the University of California Berkeley. He holds a Bachelor’s degree in Civil Engineering from the Bandung Institute of Technology. Mr Juzhong Zhuang joined Asian Development Bank (ADB) in 1997 and is currently Deputy Chief Economist of ADB's Economic Research and Regional Cooperation Department (ERCD). Before his current position, he worked as Economist in the same department (previously known as Economics Research Department or ERD) in 1997-1999, Senior Economist and Principal Economist in the Office of Regional Economic Integration (previously Regional Economic Monitoring Unit) in 1999-2005, and Assistant Chief Economist in ERD in 2005-2010, heading the Economic Analysis and Operations Division. His recent research focuses on various development issues in Asia, including growth, poverty and inequality, structural transformation, the economics of climate change, and the Chinese economy. He has written extensively on Asian development, and edited a number of books, including Corporate Governance and Finance in East Asia (2001 and 2002); Early Warning Systems for Financial Crises: Applications to East Asia (2005); Inclusive Growth toward a Harmonious Society in China (2008); Diagnosing the Philippine Economy (2009); Poverty, Inequality, and Inclusive Growth in Asia: Measurement, Policy Issues, and Country Studies (2010); and Diagnosing the Indonesian Economy: Toward Inclusive and Green Growth (2012). From 1992-1997, he was a research officer of the Development Economics Research Program at the London School of Economics. He holds a Ph.D. in Economics from the University of Manchester. Mr Rana Hasan is the Director of the Development Economics and Indicators Division at the Asian Development Bank’s Economic Research and Regional Coordination Department. His research has focused on understanding how market-oriented economic reforms affect labor market outcomes and industrial performance, and analyses of poverty and inequality in the Asia-Pacific region. He has worked previously as Principal Economist in the India Resident Mission of the ADB and Fellow at the East-West Center (USA). His research has been published in various journals including the Journal of Development Economics, Review of Economics and Statistics, and World Development. He has also co-edited two volumes on trade and labor related issues. He holds a Ph.D. in Economics from the University of Maryland and a Masters’ degree in Economics from the Delhi School of Economics, University of Delhi. Mr Vivek Rao has worked in ADB for over 8 years, first in the Treasury and subsequently in the South Asia Department. Mr. Rao has worked both in sovereign and nonsovereign operations with a focus on the infrastructure and SME sectors. In addition, Mr. Rao has processed and implemented program lending in the rural finance sector in addition to various technical assistance projects. While in the Treasury, Mr. Rao was responsible for undertaking derivatives operations and also for local currency financing. Prior to joining ADB, Mr. Rao worked on the banking and consulting services industries in India Mr Rao holds a bachelor’s degree in economics from the Delhi University in India and a Masters and Ph.D in Economics from University of Massachusetts in the United States. 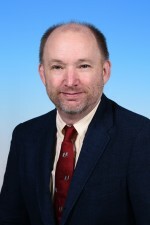 Prof David Cook is Faculty Associate at the HKUST Institute for Emerging Market Studies and has been a member of the HKUST Department of Economics since 1996. More about him. 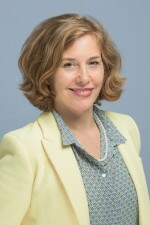 Dr Alicia Garcia Herrero is Chief Economist for Asia Pacific at NATIXIS based in Hong Kong, Faculty Associate of the HKUST Institute for Emerging Market Studies, and Adjunct Professor of Economics at the HKUST. More about her. ADB held a press conference on the same day at the Foreign Correspondents' Club, in Hong Kong. Watch the live stream of the press conference here. Developing Asian economies as a whole have decent infrastructure relative to other developing countries but it is a high growth area with massive population so the current and future financing needs are enormous. Therefore, if we think about aggregate level of investment that we need to engage in here this might run in certain bottleneck especially in financing part.